Yes, it seems odd that orchids, a tropical plant, start to flower (in my house) late February early March but they do, as if to announce spring is just around the corner. I love orchids and I have been growing them them for many years. Some people say they are hard to grow, the answer is Yes and No. 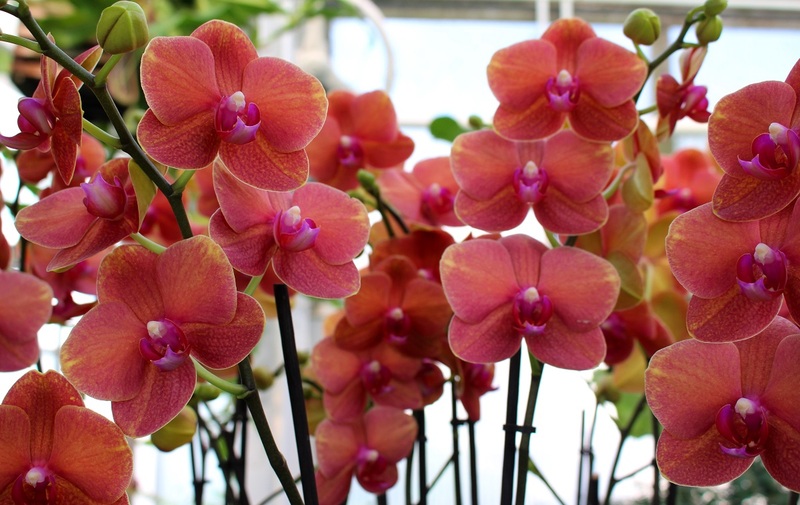 The easiest ones to grow are the Phalaenopsis family, anyone can grow these. I find orchids amazingly beautiful, mesmerizing and fascinating. 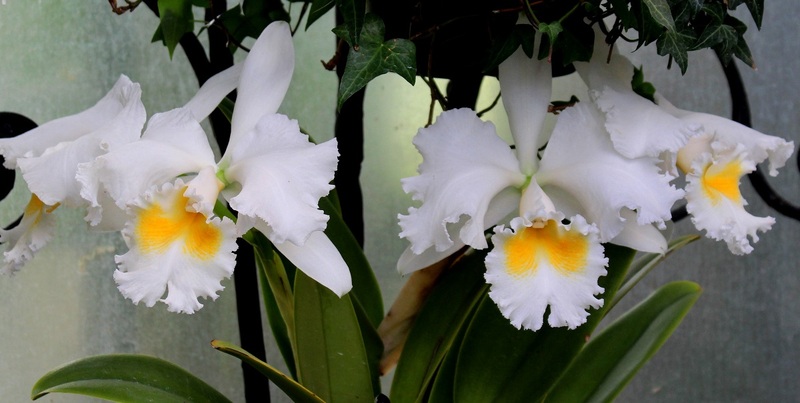 Some fascinating facts about orchids can be read in one of my previous blogs, The Lure of Orchids. A nearby place to see them is at Longwood Gardens during their orchid show. There is really no bad time to visit Longwood Gardens because the grounds are beautiful and well maintained. Going to Longwood Gardens during a special event or exhibit never disappoints and such is the case during the Orchid exhibition. The conservatory is a fabulous building that leaves you wishing this could be your backyard. It is relaxing, beautiful, with flowers and vegetation all around, a true feast to the eyes. While Longwood Gardens is located in Pennsylvania, it is relatively a short drive from Washington D.C., and is absolutely worth the trip.